There are many kinds of serious title defects which may be unknown or hidden … these are defects which cannot be uncovered by a competent title search! … These are just a few of the hidden “title defects” that could cause you to lose your property. And, even if you don’t lose your property altogether, title problems could make it impossible for you to sell. You don’t want a problem that occurred long before you bought your property to deprive you of your right to use or dispose of it. And you don’t want to pay the potentially high cost of defending your property rights in court. An Owner’s Policy of Title Insurance is your best protection against potential defects that can remain hidden despite the search of public records. A Loan Policy of title insurance also exists to protect your mortgage lender’s interest. With payment of a one-time premium, our underwriters will issue you a policy of title insurance protecting you against covered losses suffered due to undetected title defects which existed prior to the issuance date of the policy, up to the amount of the policy. Your title insurance policy also provides for legal defense costs unless the title matter is specifically excluded. Preexisting violation of conditions, covenants, and restrictions affecting the land. Title insurance is one of the most important purchases you can make to protect one of the largest investments you have. Protecting your home makes good financial sense. As agents of several leading nation title underwriters, we look forward to providing the protection you need for your property, now and in the future. 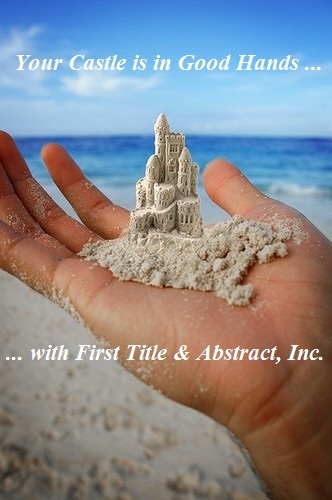 First Title & Abstract, Inc. has been serving Collier County for nearly four decades. We are THE most trusted Naples, FL title company, with offices on Marco Island and in Naples, Florida. * Article taken from information published by First American Title Insurance Company.